The Armenian consulate of Thailand provides consular services. Their main objectives are to maintain a strong relationship with Thailand and to connect with and provide support to the Armenian Community of Thailand. After our initial meeting the client and I worked out a plan for the website. The site required to have an Armenian identity and a clean & simple design. One other wish by the client was that they could update the website by themselves after completion. 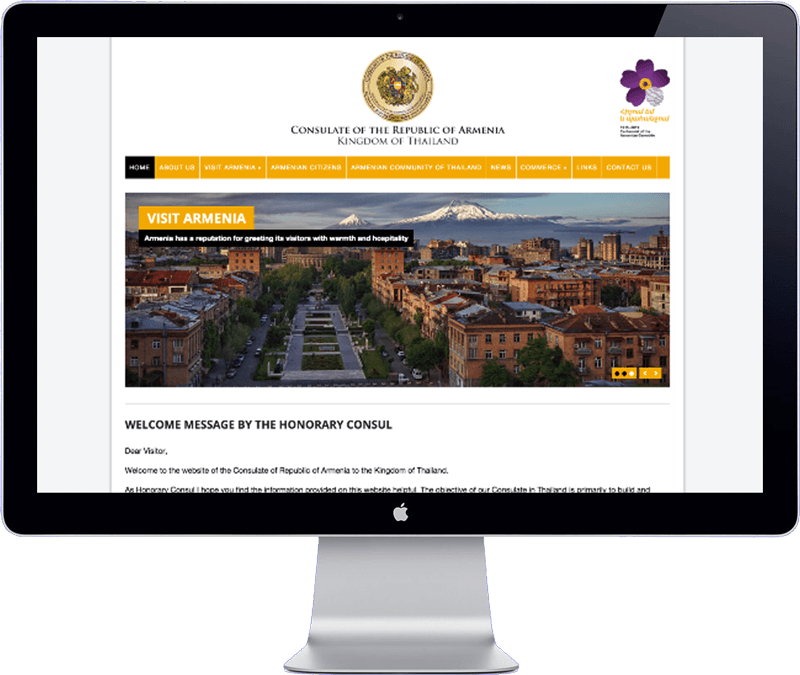 This all has been accomplished by making the Website in WordPress and integrate a clean &c orporate design with highlighting the Armenian national orange color. The site has been optimized for search engines in order for people to find the consulate easily through search engines.